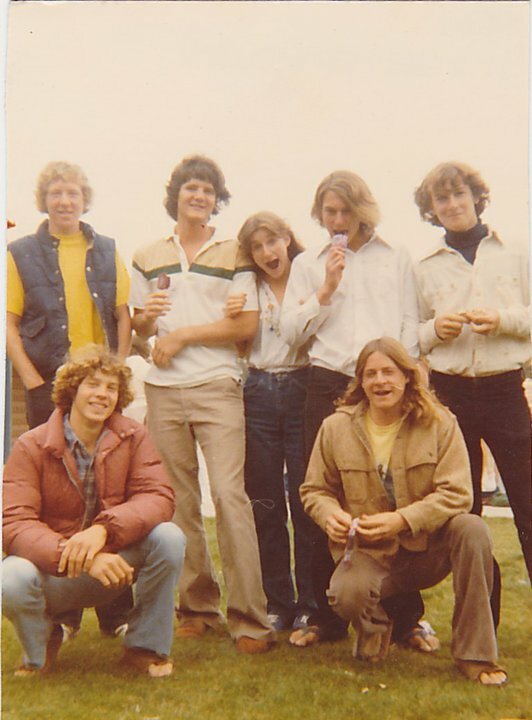 the Rock surfing crew… Morro Bay… circa 1979! (i’m on the right). This shot totally reminds me of the movie “dazed and confused”. iconic late 1970’s era look. Notable details…flared pants, feathered hair, down jacket, down vest, Birkenstocks. Difficult to discern whether this look is surf… or just stoner. It’s kinda cool again though…. after years in the… holy crap what were they thinking pile.